In addition to stage performances and recordings, Jean-François Desrosby shares his passion for classical guitar with students around the world. His sensitive and musical interpretation, his technical virtuosity and his ability to transmit his knowledge make him a sought-after instructor in Canada and elsewhere. 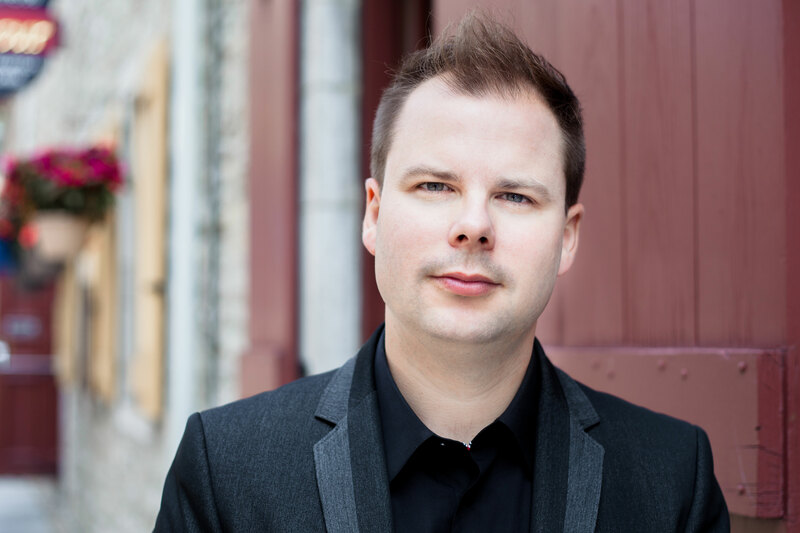 In addition to teaching music performance or instruction in a university setting, Jean-François Desrosby gives individual lessons or master classes. He also offers specialized conferences for conservatories, universities or festivals. He developed a more modern approach to teaching guitar, drawing on scientific principles first developed in the world of high-level sport. His work in biomechanics and performance psychology makes him an important reference in the field of new original guitar techniques. He holds a doctorate on the subject and published a book on this research in 2011. His qualities as a passionate communicator and a talented interpreter are also strongly solicited by solo guitarists for advanced lessons. The sports biomechanics approach provides new ways for musicians to overcome technical blocks. This approach is effective in improving the playing techniques for any instrument. The flexibility of the biomechanical approach allows everyone to adapt these tricks to their own morphology and technical approach. Discover in a conference or workshop the physiological mechanisms that can optimize your guitar technique and prevent injuries related to instrumental practice. This presentation provides basic anatomical concepts and concrete solutions based on research results in sports biomechanics. This thematic workshop introduces, in an accessible language, the mechanisms that hide behind performance anxiety. Several concrete tracks are explored to make this anxiety a powerful ally for optimizing stage performance. Jean-François Desrosby also teaches remotely with Skype or FaceTime tools. Depending on their needs, students can pursue long-term training or receive individual coaching sessions in biomechanics or performance psychology. Payment for lessons or coaching sessions can be made via PayPal or Interact. Countless students have refined their interpretation and technique with Jean-François Desrosby. Many have received scholarships or have distinguished themselves in competitions.